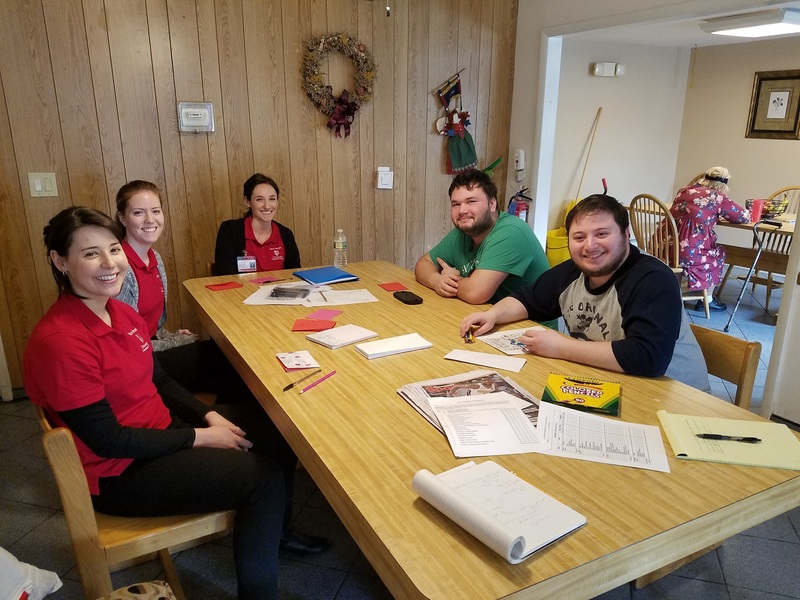 Options for Community Living, Inc. > News > Options For Community Living partners with Stony Brook University to help vulnerable Long Islanders! Master’s degree students enrolled in Stony Brook University’s (SBU) Occupational Therapy Program recently kicked off their field placements with Options for Community Living Inc. Options’ operates residential programs for adults recovering from mental illness that provide stability, safety and support enabling them to develop their fullest potential for independent living. The agency currently provides supportive housing for more than 400 Long Islanders recovering from mental illness. At Options, the OT students focused on skill development helpful to all of the group participants. “Last week, we worked on coping skills. Playing a card game is one way to take your mind away from unhealthy thoughts. Another technique involves becoming aware of negative thoughts and changing them into positive thoughts using a charting method,” said Czelusniak.